Is It True? 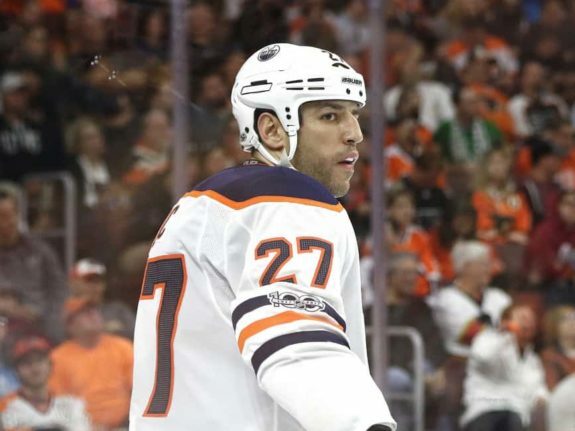 Has Milan Lucic "Checked Out" in Edmonton? 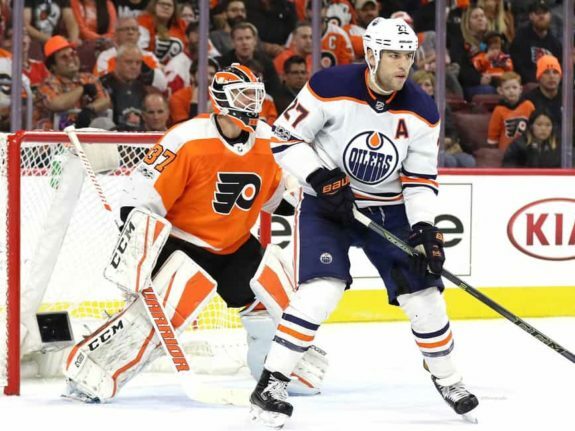 Anyone who has watched Milan Lucic play for the Edmonton Oilers this and last season has watched a player who seems disinterested, ineffective and snake-bitten. It’s a situation that has to be frustrating for the player, the organization and definitely the fans who know the team has committed millions of dollars to an asset who was brought in to help the franchise become a year-after-year contender in the playoffs. After Saturday’s loss to the Los Angeles Kings, it seems apparent, Lucic is anything but helpful. Worse yet, if the speculation by the Edmonton-based media is to be believed, Lucic is all but checked out, likely ready to be traded at any moment. If we assume such speculation is accurate, who in their right mind would take him? What Is Wrong With Lucic? Before joining the Oilers, Lucic was a relatively effective player. Yes, it can be argued he was on a downward trend and it’s certainly proved to be the case that the contract he was offered by the Oilers, namely GM Peter Chiarelli, was a massive overpayment and a mistake. At this point, there’s not much the Oilers can do about that mistake without taking a major hit financially or in terms of moving something else off the roster to facilitate a trade. Lucic has one goal in 41 games this season and two goals in his last… well, let’s not go there. But, after being called out by Edmonton-based media on Saturday, it’s not his lack of scoring that has everyone up in arms. After an abysmal start to his season, speculation is Milan Lucic has refused to be effective in other ways that can help the team. Earlier in the summer, speculation was that Lucic had advised the Oilers organization that if they were to trade him, he wouldn’t stand in the way and would waive his no-movement clause. When those rumors went public, both sides back-pedaled. Lucic’s representation suggested there was no truth to the rumor and the Oilers were looking forward to a motivated player who could offer the team more than just scoring. When Ken Hitchcock took the reigns of the team, it was told to Lucic his goal shouldn’t be to worry about scoring, instead go back to what made him an effective junior player. As part of Edmonton’s new “identity line” and for about 10 games, Lucic looked like a new man. But, things have faded. He was getting his chances but that line was ineffective when it came to producing on the scoresheet and Hitchcock has since split them up. On Saturday, as the Oilers suffered an embarrassing loss to the Los Angeles Kings, Lucic was called out by media for not responding to liberties taken on Connor McDavid. The suggestion being that Lucic’s good friends played for the Kings and that was enough to warrant no response. Lucic was eventually kicked out of the game for slashing and whacking a King’s player when the game was already out of reach and meant very little. Nick Kypreos said during the Saturday night broadcast, Lucic picked his spot versus a small 4th liner who doesn’t even fight. He should be ashamed. On Sunday morning, social media has called for Lucic to be benched for Edmonton’s game versus the Anaheim Ducks. 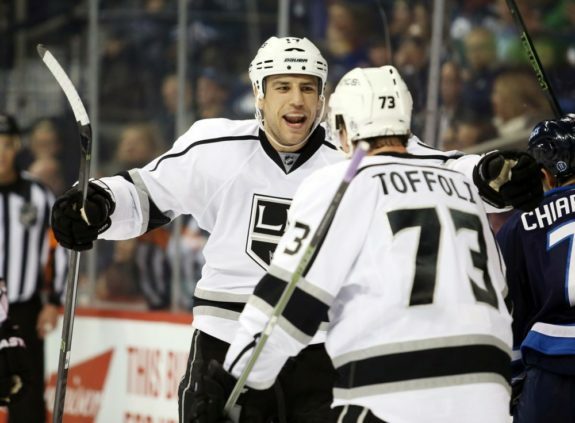 What Now for Lucic and the Oilers? While there has been no report from the Oilers on the situation, Lucic is once again the target of ire out of Edmonton. There is no confirmation he has asked for a trade or that the Oilers are shopping him, but if there is any truth to the speculation that Lucic refused to come to McDavid’s aid because he has friends on the Kings team, this is a serious issue in Edmonton and for the NHL. And, if Lucic has, in fact, checked out, Edmonton has a massive dilemma on its hands. The lack of competitive spirit in the NHL is something that has been questioned by coaches and media personalities like Brian Burke this season and Lucic is proving there may be something to that speculation. If the Oilers now have a $6 million player who can’t score and won’t provide physicality when those two attributes are the only two skills he’s potentially known to offer, the Oilers employ an anchor weighing them down. It’s not ideal to buy him out or trade a player that you want to keep to facilitate a trade, but the longer this version of Lucic is with the team, the more damage he can potentially do. Edmonton’s culture, at the very least, is fragile. A player like Lucic, who might be checked out, is a dangerous player. And, not the kind of dangerous that is good for Edmonton. Is it true Lucic is “checked out”? His play on Sunday against Anaheim, should he play, will tell fans all they need to know.